Now available, this renovated Junior 4 pre-war gem in Beekman. With no details spared, enter into the beautiful foyer area that connects to both the kitchen and living room. Gracious in size, the living room features a wood-burning fireplace, and southwest facing windows for tons of lighting throughout the day. The kitchen is adorned with beautiful white cabinets, marble countertops, and includes a GE appliance suite. Right off of the kitchen, you will find the dining room area with its own large window, plus additional built-in storage. 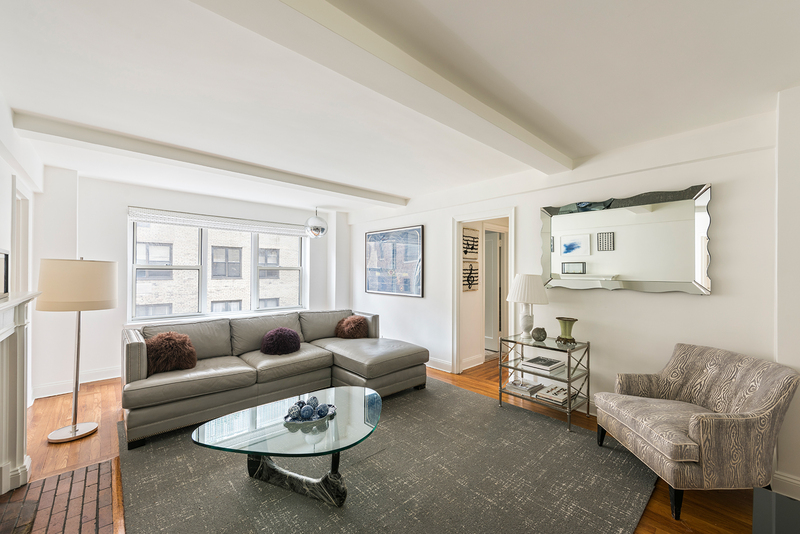 The apartment boasts light hardwood floors and gorgeous ceiling beams all throughout. 9E features a large bedroom with double exposed windows, and contains its own walk-in closet. 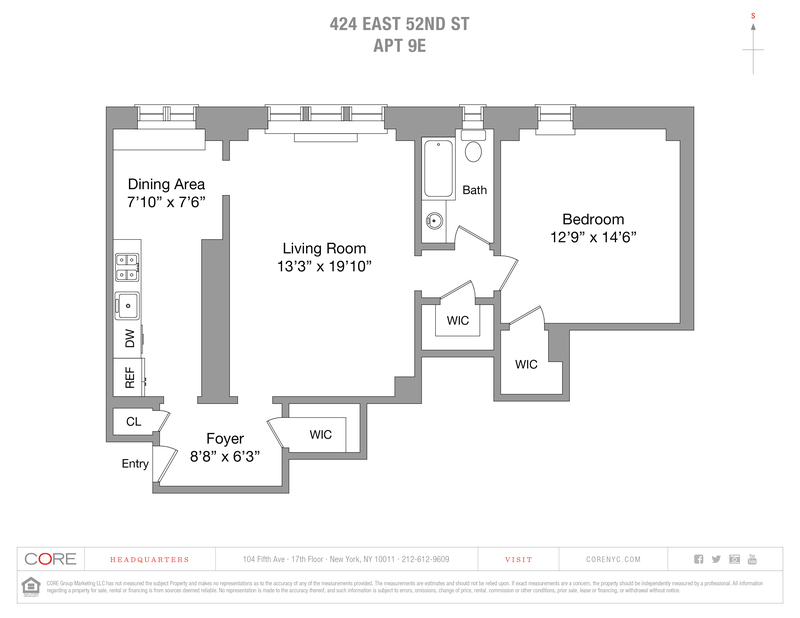 The designer bathroom has all new appliances, marble flooring, a large glass stall shower, and is windowed as well. The apartment offers tons of storage space with three walk-in closets and built-in storage throughout.